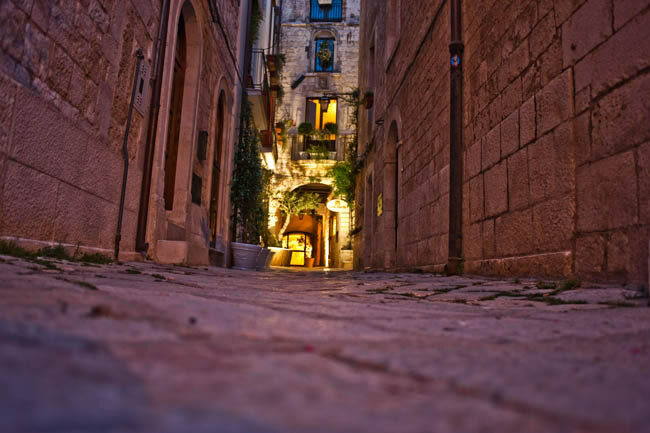 Our most popular Puglia package allows you to discover the Heel of Italy at a soft pace without missing the main sights of the region. 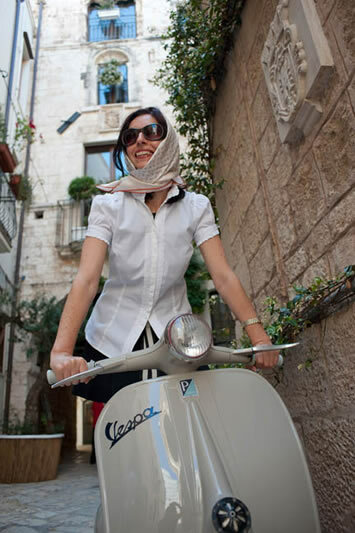 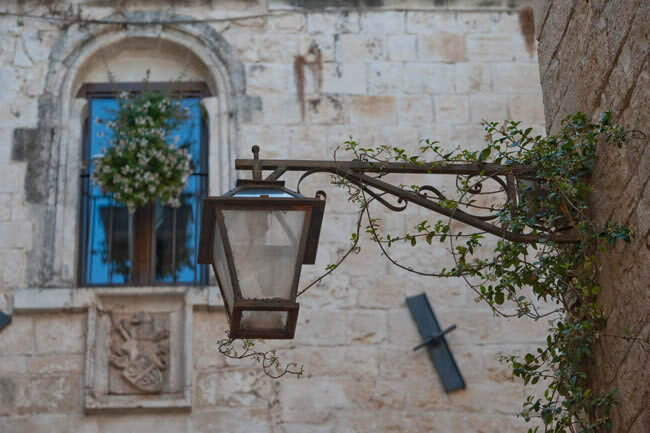 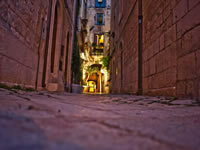 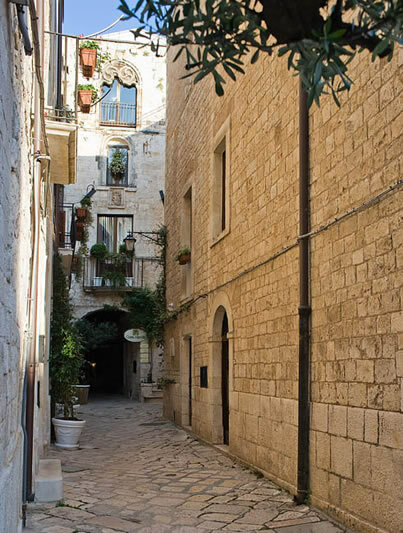 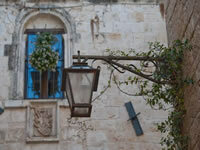 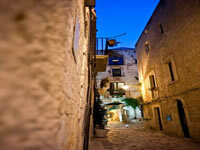 You will stay in a charming central 4* hotel in the lovely medieval town of Conversano and, from there, you will easily reach Alberobello, Polignano a Mare and Bari using public transports. 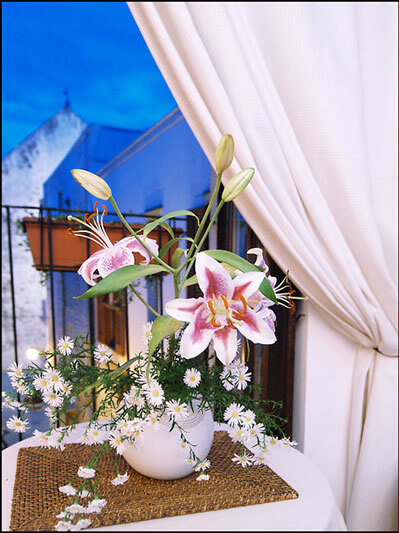 Private transfers can be arranged on request. 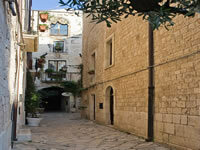 - All transportation to/from excursions is at own expense and can be done by local train. 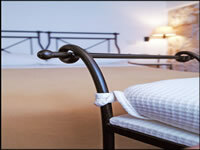 Private transfers can be arranged at a supplement. - You can add a beach extension in a 4* resort in Marina di Ostuni with swimming pool, SPA, private beach, restaurant and tennis court from the booking form. Please note transfers are included. 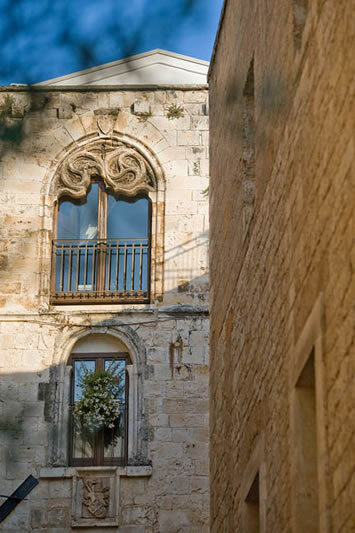 Corte Altavilla Hotel is a residential complex dating back to the Normans time, which has been beautifully restored and converted into a charming 4 star hotel. 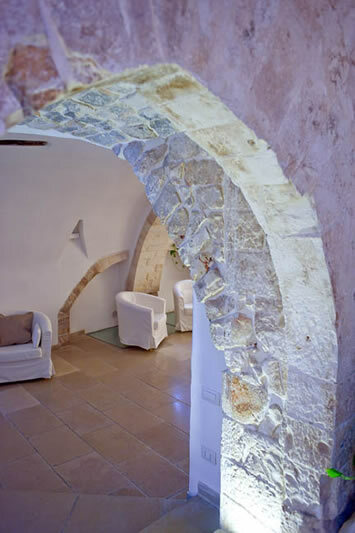 The hotel has preserved its original architectural elements such as stone floors and walls, making it a warm and welcoming location. 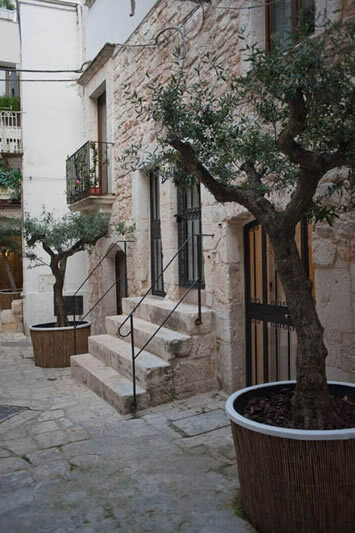 The hotel offers free Wi-Fi throughout the building and pays particular attention to water and energy saving, usage of renewable energy and waste reduction. 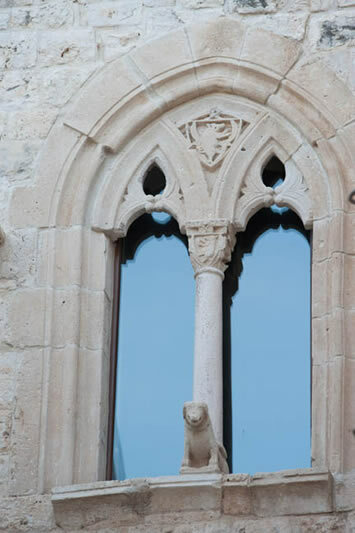 Goffredo Restaurant, named after the Earl Geoffrey of Altavilla and available upon reservation only, is located on the attic and offers a wonderful view of the Romanesque Cathedral of Conversano. The chef creates every course with seasonal ingredients, purchased daily at the city market, and the wine list, which is updated yearly, includes carefully selected wineries from Puglia. 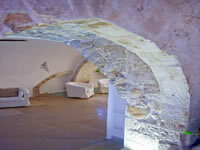 Breakfast is served in a stone room on the ground floor or directly in your room. 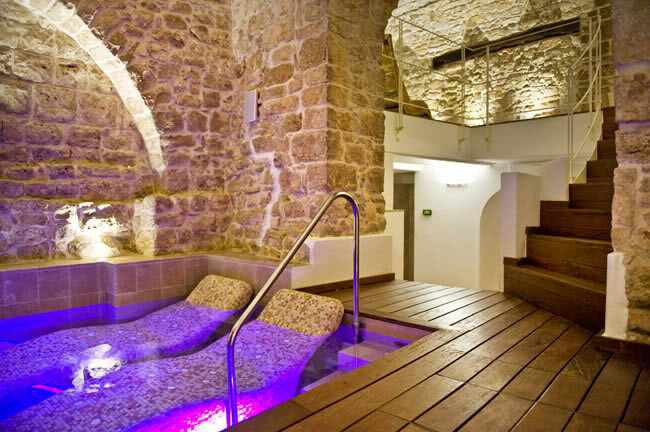 Recently opened, the Sibilla Thermarium Spa wellness centre takes its name from the Earl Geoffrey´s daughter, Sibilla d´Altavilla, who became Duchess of Normandy as wife of Robert II of Normandy and was buried in the cathedral of Rouen in France. 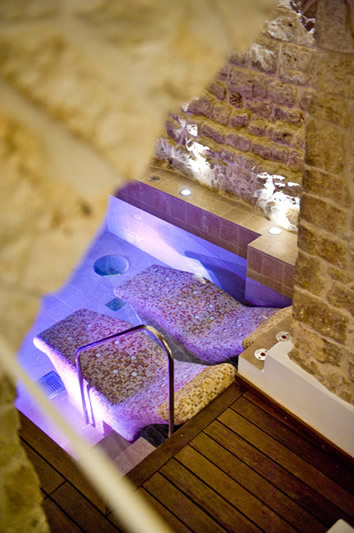 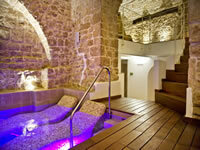 The Spa is located in the ancient cellars of the court, all built with local stone, and, like the ancient Roman baths, has tepidarium, caldarium, frigidarium as well as jacuzzi, relaxation and massage area. 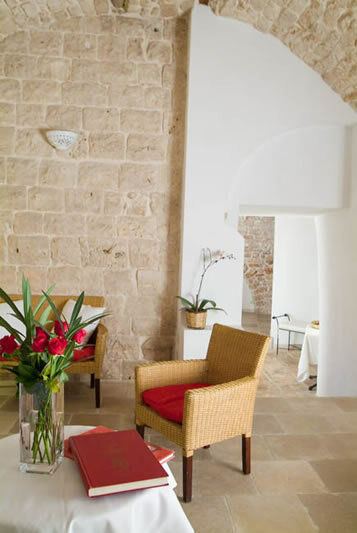 Hotel D’Aragona is the perfect destination for business & leisure clients with its completely renovated rooms, the elegant restaurant serving Apulian and national specialties, the Wellness Centre and the modern conference rooms. 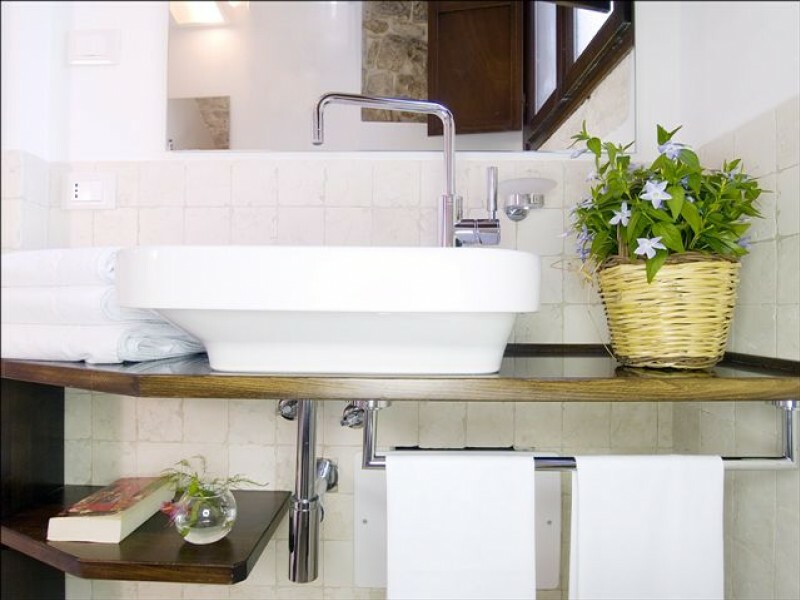 The Hotel offers a wide range of services and has a semi-olympic-size pool, a children’s pool, a playground, a stylish American bar and large gardens. 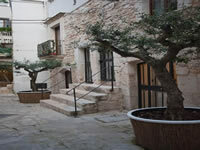 Outside the Hotel there is a large free parking area for guests only, which is closed off with a gate. 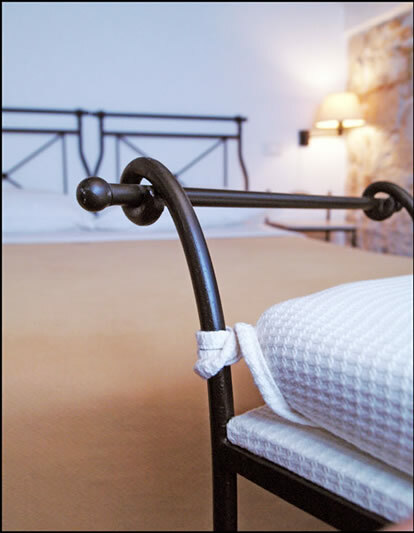 Refined and equipped with every comfort, the rooms have flat-screen/satellite TV, free Wi-Fi, minibar, telephone, air conditioning, heating, work desk, bathroom with shower or bath tub/Jacuzzi, complimentary toiletries and hair dryer. 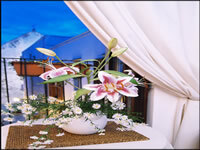 Most of the rooms have balconies, some overlooking the pool. 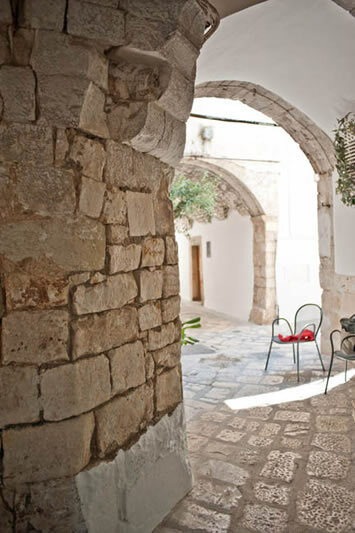 Grand Hotel Masseria Santa Lucia is set in a refurbished Apulian masseria, a fortified rural complex. 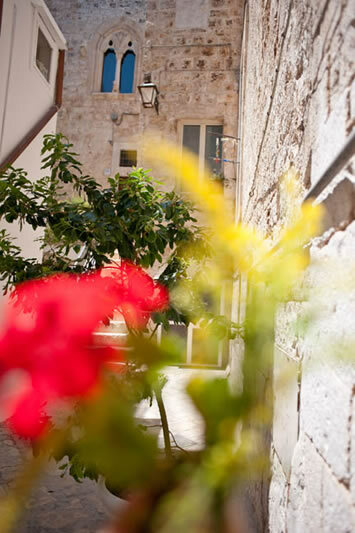 All rooms offer a patio, free Wi-Fi, and an LCD TV. 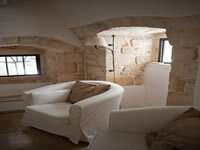 The seaside is 500 metres away. 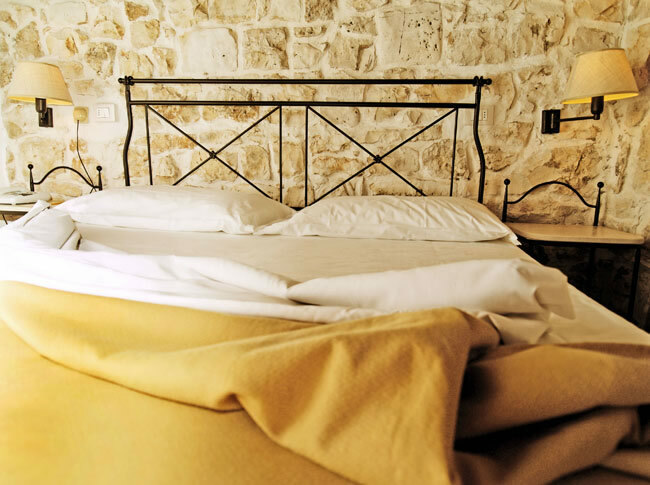 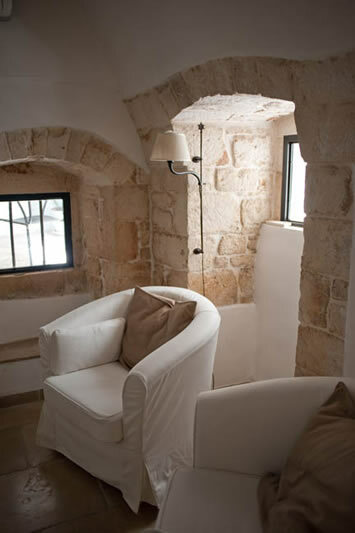 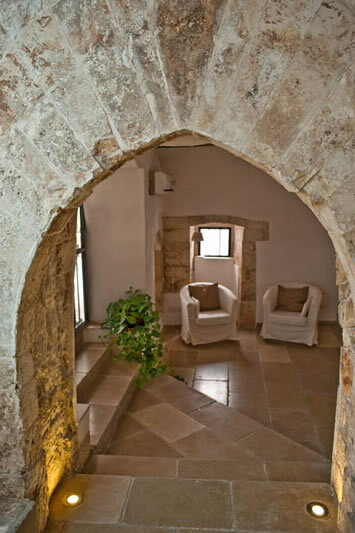 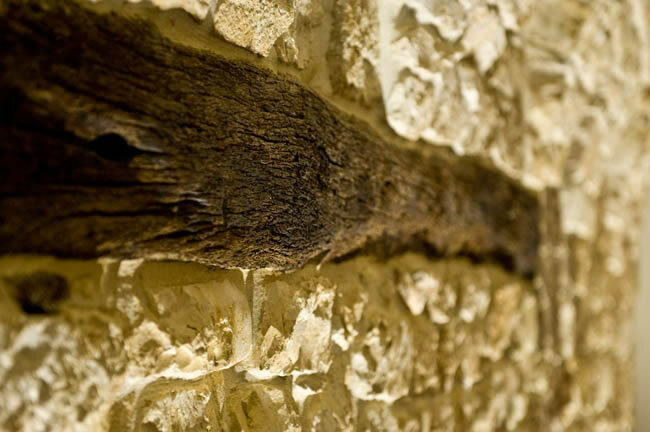 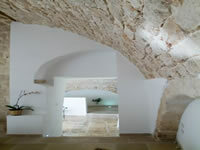 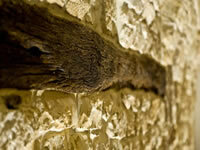 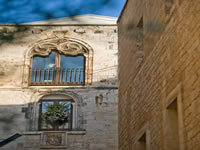 Masseria Santa Lucia preserves original architectural features in all common areas and guest rooms. The available sports facilities include an outdoor swimming pool, tennis courts, and an archery range. Free Wi-Fi is available throughout the hotel. 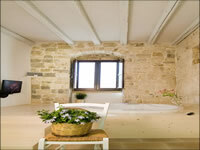 The rooms come with cool tiled floors, minimalist, simple furniture, and air conditioning. 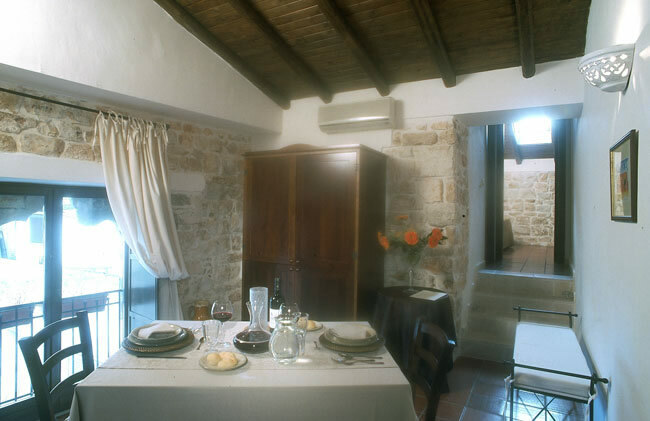 Breakfast is a varied buffet including fresh seasonal fruit. 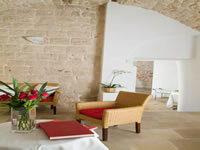 The restaurant serves traditional local cuisine. 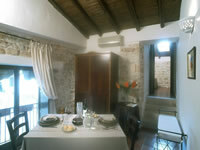 During summer meals are served in the orange grove.